Add a rock edge to any outfit with this unique pendant. It shows a rhodium-plated metal skull adorned with crystal Pointiage®. 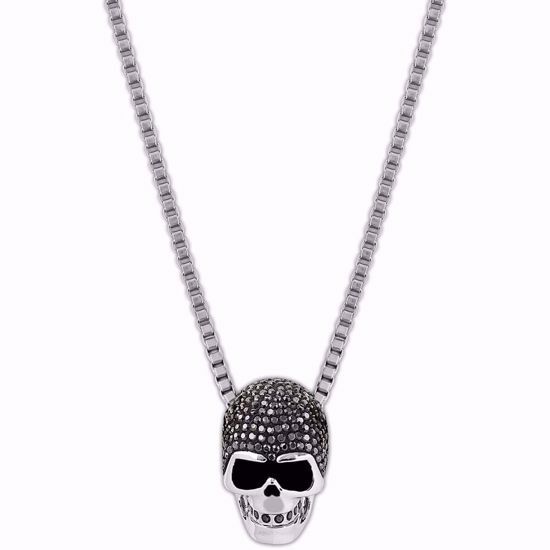 The pendant comes on a stainless steel chain.